It’s over. Borders files for Chapter 11 bankruptcy relief, after losing a long battle in the book and music space dominated by Amazon and Barnes & Noble. “In this regard, operating under Chapter 11, Borders has received commitments for $505 million in Debtor-in-Possession (DIP) financing led by GE Capital, Restructuring Finance. This financing should enable Borders to meet its obligations going forward so that our stores continue to be competitive for customers in terms of goods, services and the shopping experience. It also affords Borders the opportunity to move forward in implementing the appropriate business strategy designed to reposition Borders to be a potentially vibrant, national retailer of books and other products,” Mr. Edwards emphasised. The company said that it is serving customers in the normal course, including honouring its Borders Rewards program, gift cards and other customer programs. Additionally, the company expects to make employee payroll and continue its benefits programs for its employees. 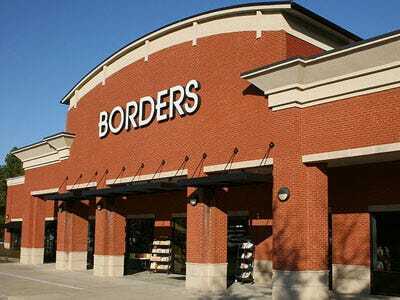 The company noted that, among other initiatives and subject to court approval, Borders plans to undertake a strategic Store Reduction Program to facilitate reorganization and its repositioning. Borders has identified certain underperforming stores — equivalent to approximately 30 per cent of the company’s national store network — that are expected to close in the next several weeks. At the same time, the company noted that a major strength of Borders is its national presence, and its extensive network of remaining stores as well as Borders.com, will continue to run in normal course. The company emphasised that the closings were a reflection of economic conditions, cost structures and viability of locations, among other factors, and not on the dedication and productivity of the workforce in these stores. “We are very pleased to be able to make this commitment to Borders as support for their plan to re-organise the company,” said Tim Tobin, Managing Director, Retail Restructuring, GE Capital, Restructuring Finance.